Knitting in circle: How can we see time? I am interested in the concept of time. Time passes. We all are in this weightless sphere. Each one in their bubble. I would like to find a way to see the time, make it understandable. 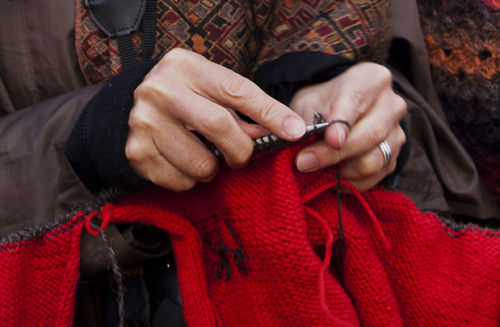 Can knitting provide a comprehensible picture of the time in a human pace? A time linked to the human body.